Oregon’s Crater Lake National Park is a sight to behold. Just seeing it during the day is a once in a lifetime experience. Due to its remote location Crater Lake also lends itself as a perfect Astro and Night Photography location. The High Altitude of 7,000 to 8,000 feet and clear mountain air make the stars appear closer. 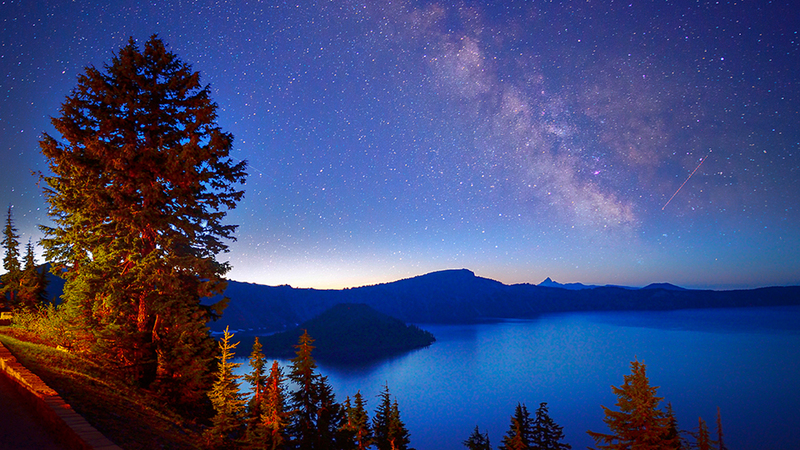 Join two widely published professional photographers for this weekend Night Sky Photography Workshop at Crater Lake National Park, one of the most beautiful National Parks. This workshop goes from Friday June 28, 4:30 p.m. to Sunday June 30, 4:00 p.m.